A pair of bills now before the Nebraska legislature would provide a new potential funding source for community solar projects, and mandate that utilities allow community solar projects initiated by their customers. 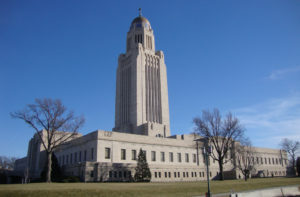 LB 610 would explicitly allow the Nebraska Environmental Trust to consider issuing grants to community solar projects. The trust’s funds, coming from a portion of the state’s lottery proceeds, amount to roughly $16 million yearly . . . 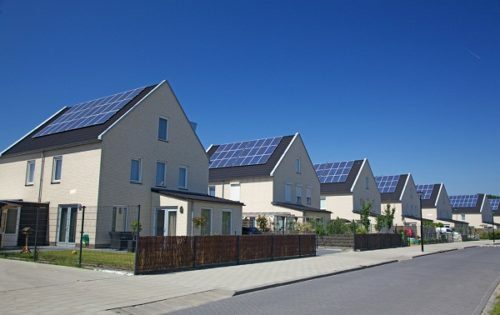 The other community solar bill, known as the Shared Community Solar Act, essentially legalizes community solar projects and requires utilities to allow them. This entry was posted in Community-Scale Solar, Energy Conservation, Nebraska / Midwest News, NewsBlog and tagged American Wind Energy Association's Blog - Into the Wind, Chicago Tonight, CleanTechnica, community solar, Midwest Energy News, Milwaukee Journal Sentinel, Nebraska Energy Office, Nebraska Legislative Bill 610, Nebraska Legislative Bill 626, Nebraskans for Solar on January 31, 2017 by Helen Deffenbacher. The projects, below, made the initial priority list of 50. 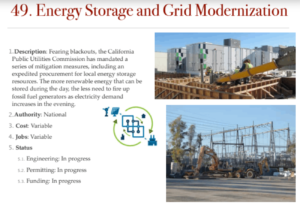 According to Forbes (see the article link below), these could add 9 gigawatts of clean energy to our nation’s infrastructure. Included, too, are several mass transit and electric rail projects that would generate many thousands more new jobs. This 720-mile transmission line will move cheap, clean, wind power energy from the Oklahoma panhandle to Memphis, Tennessee, providing enough low-cost clean energy for more than 1 million homes in the mid-South. Would create 3,300 jobs. The Corps produces revenue of $5 billion per year from hydro plants they own and operate throughout the country. The turbines are 50 years old and replacing them will dramatically increase the production of clean energy desperately needed. Would provide 550 jobs. Project #16. 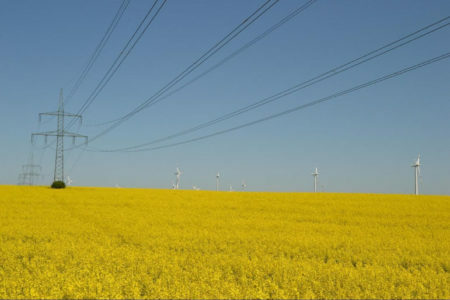 The TransWest Express Transmission is a high-voltage, direct current regional electric transmission system that will reliably deliver cost-effective renewable energy produced at a Wyoming wind farm to the Desert Southwest region (California, Nevada, Arizona). Private funding: Anschutz Corporation. Would generate 3,000 jobs. Project #17. Chokecherry and Sierra Madre Wind Farm Power Company of Wyoming LLC’s Chokecherry and Sierra Madre Wind Energy Project is an up-to-1,000-turbine wind farm to be located south of Sinclair and Rawlins in Carbon County, Wyoming. Authority: Wyoming Power Company ( Anschutz Corporation). Would create 1,000 jobs. COMPLETE LIST OF INITIAL 50 PROJECTS. This entry was posted in NewsBlog and tagged Nebraskans for Solar, Trump Administration's Proposed Infrastructure Projects, U.S. green energy development, U.S. green energy jobs on January 31, 2017 by Helen Deffenbacher. 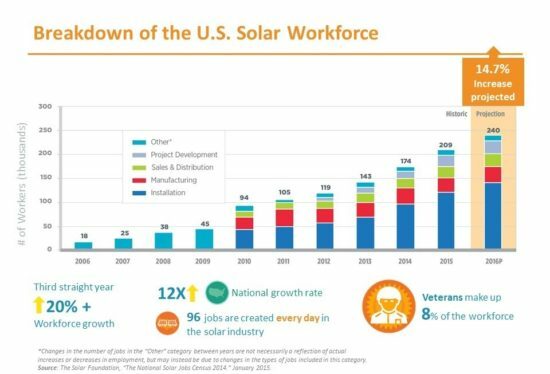 In September 2014, the U.S. Department of Energy SunShot Initiative launched a pilot phase of the Solar Ready Vets training program for transitioning military personnel to prepare our nation’s skilled veterans to join the growing U.S. solar energy industry. After successful completion of the pilot program on several military bases, Solar Ready Vets became a fully funded program in 2016, administered by The Solar Foundation. All future military bases will be determined by The Solar Foundation in conjunction with the Energy Department and the Department of Defense. 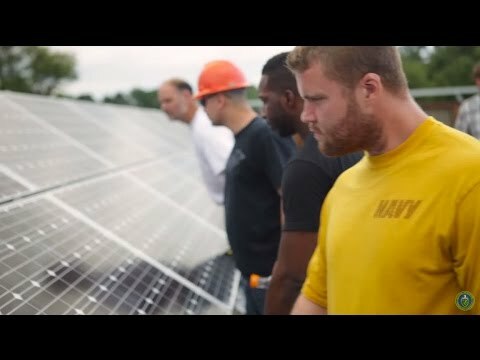 View the above video to learn more about Solar Ready Vets. The Department of Veterans Affairs created the Veterans Employment Center to help connect employers and veterans who are seeking employment. If you are a veteran, type “solar” into the search bar, and a location if you are searching for employment within a specific geographic area. If you are a solar employer, search veteran profiles and post job openings within your company. 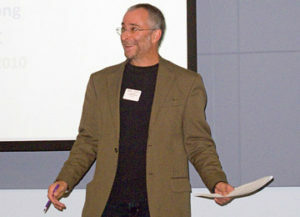 The Solar Training Network is another national program administered by The Solar Foundation. This program is designed to help meet the workforce needs of the solar industry through solar training and strategic employment partnerships. 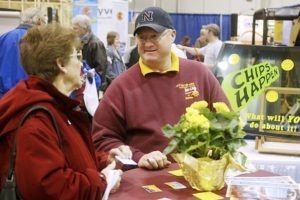 This entry was posted in Nebraska / Midwest News, NewsBlog, Solar Energy Education and tagged Department of Energy's SunShot Initiative, Nebraskans for Solar, solar jobs-training program for U.S. veterans, Solar Ready Vets, The Solar Foundation, The Solar Training Network, Veterans Employment Center on January 29, 2017 by Helen Deffenbacher. 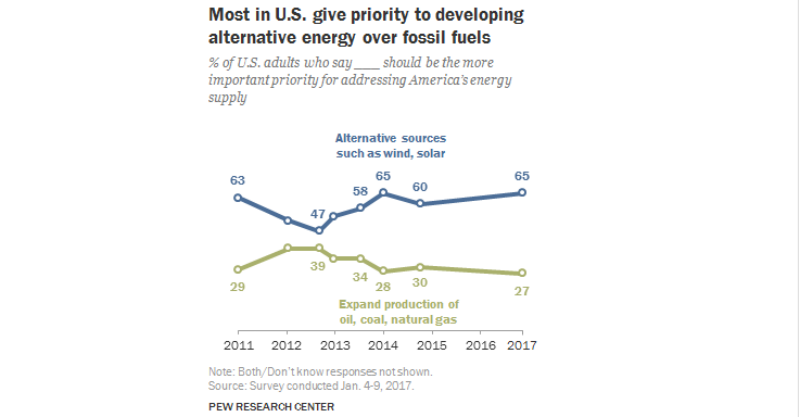 Click Infographic to Link to Pew Research Center’s Fact Tank. 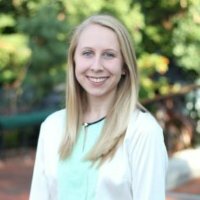 This entry was posted in NewsBlog, Research and tagged Pew Research Center on January 26, 2017 by Helen Deffenbacher. 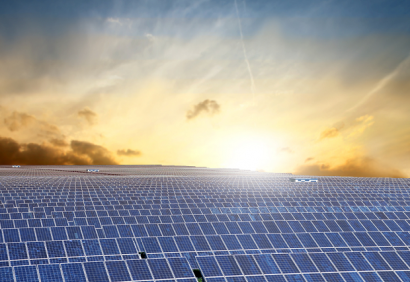 With the advent of $1.00-per-watt (DC) pricing for utility fixed-tilt PV systems, the solar industry has crushed the SunShot Program’s $1.00-per-watt goal for 2020 three years early . . . 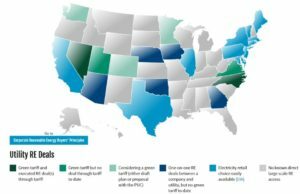 The intrepid analysts at GTM Research were tracking utility solar at close to $4.00 per watt in early 2011. The SunShot initiative hoped to reduce the total costs of PV solar energy systems by about 75 percent so that they were cost-competitive with other forms of energy without subsidies before 2020. Chu said that SunShot would work to bring down the cost of solar — by focusing on four main pillars: Read more here. This entry was posted in NewsBlog and tagged Department of Energy's SunShot Initiative, Eric Wesoff - Editor-at-Large at Greentech Media, Greentech Media (GTM), Nebraskans for Solar, SunShot Program's $1.00-per-watt goal on January 25, 2017 by Helen Deffenbacher.